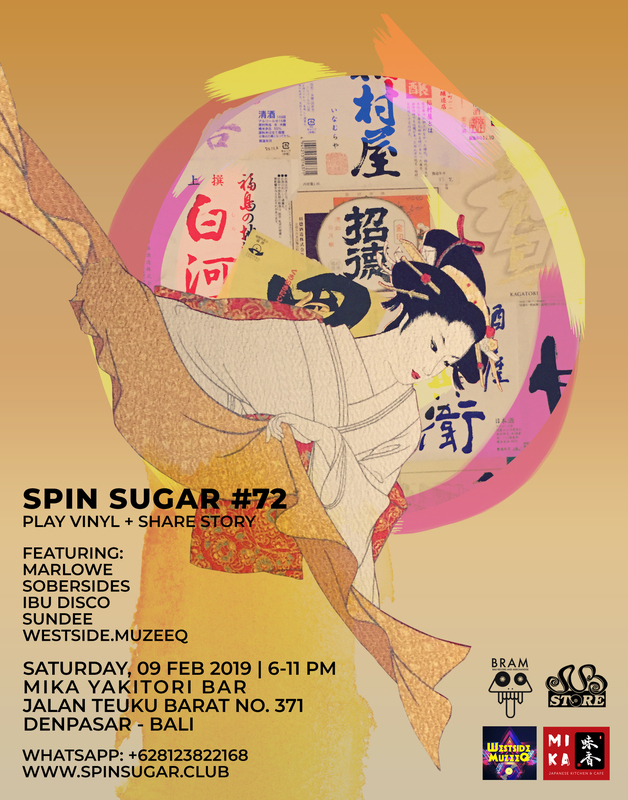 Here is the poster for the latest SPIN SUGAR | Play Vinyl + Share Story vol. #72. Early 2017, my buddy Ridwan Rudianto and I established a community based event named SPIN SUGAR, to which bloomed from private vinyl record-listening sessions into a creative hub for vinyl record collectors and lovers alike to showcase and talk about their music collection. The main idea is to play vinyl records and share stories about music. We have a strong following and the community has grown significantly following the passionate support from many, here in Bali and beyond. Befriend us at spinsugar.club and maybe one day we will listen to your vinyl record collection.